Today we are talking to Dan Taylor, a professional level designer who has in the past worked for Eidos, Square Enix, Ubisoft, Rockstar (among others) on games such as Medal of Honor Heroes 2, Hitman: Sniper, or Shadow of the Tomb Raider. Dan - who started out as a modder for Morrowind, Skyrim, and Fallout New Vegas - has close to two decades of experience in the video game industry under his belt and his talk on Ten Principles for Good Level Design at the Game Developer's Conference 2013 is currently the top hit for "level design" on YouTube. 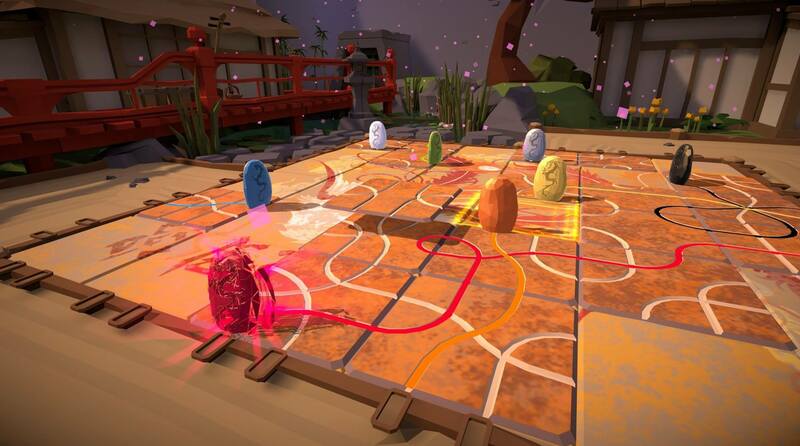 It is our pleasure today to talk to him about his journey from hobbyist modder to professional level designer, the video game industry as a whole, as well as his most recent project - board game apps. If you have any questions of your own for Dan, feel free to seize the opportunity and ask away in the comment section below! Dan has agreed to answer questions (at his leisure) during the next few days. BigBizkit: Thanks for joining us today. To start this off: could you please tell us a bit about yourself, your background, and what you do? Dan: You are most welcome, Stefan - it’s my pleasure! I’ve been in the games industry for about 20 years now, and have had a bit of an odd career trajectory, so I’ll start at the beginning… I used to work in London as a marketing “assistant”, stickering the streets and doing promotional graphics for games like Half-life and Wip3out. I worked my way up to be a European Product Manager at Sony, where I brought EyeToy and Killzone to market. Crazy days! Marketing teams work super hard on a game’s launch, and I really enjoyed it, but I wanted to have more influence on the product, so I started modding as a way of getting into Game Design (as there weren’t really any academic courses for it back in the day). In 2006 I left the UK to go and live in Vancouver, Canada, where my mod work on Morrowind landed me a role as a Level Designer on Medal of Honor. Since then, I’ve been operating as a Game/Level Designer in various capacities on franchises like Max Payne, Hitman, Deus Ex and, most recently, Tomb Raider. In your own words, what is it a "Level Designer" does, what does level design entail, and how does it intertwine with the work done by others on a development team? First of all, we need to understand what a “Level” is. A lot of people think it is a place… or a mission… but they would only be partially correct. I like to think that a level is the metaphysical medium through which gameplay is delivered. That is to say that the players receive the gameplay through the level, and it’s the Level Designer’s job to understand the game mechanics, narrative elements, artistic brief and technical limitations to create something that will evoke an emotion in the player. LDs have to work very closely with all the other disciplines (Art, Narrative, Sound, Tech, Gameplay, etc…) as the level is where all of their work is deployed – collaboration and communication are skills that are just as important as being able to create a well-flowing mission! Your speech at the Game Developers Conference (GDC) 2013 in which you lay out "Ten Principles for Good Level Design" is currently the top hit for "level design" on YouTube. Would you say these principles are timeless, or has your perception of what constitutes "good level design" evolved since then? Well… I was actually pretty amused/humbled by the YouTube thing… particularly as the #2 hit is John Romero… who probably knows a bit more about making games than I do! The gaming landscape is constantly evolving, so it’s impossible to predict how long that particular set of guidelines will remain relevant, but I tried to make it super open-ended, so it could be of benefit to as many people as possible for as long as possible. Its important for me that Level Designers draw inspiration from areas outside of games/movies/comics, so I try and route a lot of my thinking in classical disciplines (like ergonomics, psychology and architecture), so hopefully those particular elements will have a better sell-by-date, if you catch my drift. Looking at the ten principles, one of them that stands out to me is #5 - "Good Level Design is surprising". Presuming that we are talking about good, or pleasant surprises, what would you say is a game or maybe even level that really exemplifies how to get "surprises" right in level design and why? 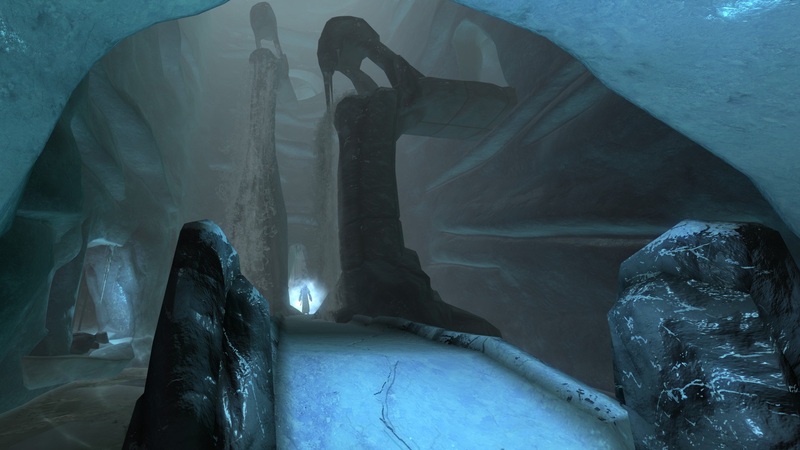 What makes a good surprise and what is your approach to crafting surprises in level design? Surprise can be delivered in a few ways. Obviously, you can do jump scares… but you are right in thinking that those are not what I meant. You can surprise by being innovative… but that requires a dedicated effort across the whole project, from the very beginning, and can be quite tough. For a Level Designer the best way to surprise the player is to set an expectation, and then subvert it. Look at the patterns the levels in the game are creating, in both the micro (moment-to-moment gameplay loops) and macro (broad-brush gameplay across the entire game) and ask yourself “What is the opposite of this, and how can I make it fun?” This can empower you to suddenly deliver some crazy memorable gameplay in the mid-to-late stages of your game, once the patterns have been established for you to subvert. Thanks! Those guidelines are… well... guidelines; they are a good starting point, but certainly not the only way to think about Level Design. It’s hard to pick an example of a game that doesn’t follow at least one of them in some way as you can retro-fit them onto pretty much anything if you try hard enough! Our community will be glad to learn that you started out as a mod author, creating your own mods for Morrowind, Fallout New Vegas, and Skyrim. What kind of mods did you tend to create and why? Yeah – I loooove to mod! I always try and bring something fresh and unusual to a game, that still sits well in the overall experience in terms of lore and balance. I started off making very narrative/quest driven stuff but that takes a lot of time (I spent 2 years working on that Morrowind mod), so I looked at ways to be clever with less. My Skyrim mod is really the embodiment of “the level as a game mechanic delivery system” – not wanting to spoil anything, but it was developed specifically to use Dragon Shouts in interesting ways that players wouldn’t have seen in the main game. The quest and reward are only really there to provide a bit of MacGuffiny context to the main gameplay. What drew you towards modding initially, how did you learn how to make mods, and what made you realise that you wanted to work on games for a living? I always wanted to work on games from a very early age. I think the first thing I made was on the ZX Spectrum when I was 10, using some kind of ancient platform construction kit. It had Transformers in it, which were the cool toy back then. Later I made stuff on the Amiga with SEUCK, but the first playable thing I ever made was on the original Doom. Back in those days you had to FTP the technical docs and then print them out to learn how the tools worked! I made a level that used a rare bug called “The Voodoo Doll” to create a puzzle for the player (you had to move your voodoo doll to safety by blasting it with a shotgun, otherwise it would get crushed and you would die!) I guess I just like entertaining people with weird stuff! What was the jump from modder to game developer like for you? How did it all happen? It was pretty amazing, to be honest! My first design role was on Medal of Honor Heroes 2, which was a dream job because I love the historic setting of WWII and I also love FPS, and the Wii was super-hot around that time. I applied for the job like anyone else, although I did have a recommendation from a friend who used to work at EA (contacts are very important, so always try to expand your network when the opportunity arises). In the interview, I presented a quick slideshow about my Morrowind mod. I didn’t think I would get the role, but apparently the Producers at EA were very impressed! In my first week, the LD team had to come up with short, re-usable action scenarios for the levels that we called “Battle Moments”, so there was a lot of cool blue-sky concepting. My modding skills were put to good use, and by Friday I had stuff running in-engine that made it into the final game. Production on MOHH2 was about 18 months and I had a lot of fun, and learnt so much! I don’t think any other job I’ve had has been that much fun (with the possible exception of working with the lovely people at Square Enix Montreal). How has modding helped your career? Conversely, did you have to "unlearn" bad habits you developed as a modder? When you are a modder, you have to work with what you’ve got; this means that sometimes you have to bend the rules to make the game do what you want. This served me well, as it meant that I got to know the intricacies of the game engines I worked with pretty quickly, and was able to get them to do things that a lot of people thought were impossible. On the flipside, your work has to be absolutely bulletproof, and on big productions there is often a technical process in place to make sure everything runs smoothly… especially with system-driven games like Deus Ex, where any exotic scripting had to be run past the Technical team. How much freedom are you given in the industry when it comes to designing levels? How does the fact that you have to work in a team impact your approach? It varies massively from project to project – some games have given me total carte blanche to do as I please, while others have had me implementing direction with zero room for deviation (which is not much fun, unfortunately). Level Designers need to be aware of the constraints of a project (technical, artistic, time, cost, etc…), and design within them. Teamwork is super important, but the most critical thing is working with the Art and Narrative teams from the inception, so that everyone has an investment in the level’s core concept. How was the transition from modder (doing what you like, what you think is cool) to a more methodical approach to level design (doing what you know works)? What was the most unintuitive/hardest lesson to learn in that regard? Great question! Everybody on a game team will always want to do what is cool… it’s just a matter of whether or not they agree and/or have the bandwidth. I think you have to be able to know why you are proposing something, and be able to put forward a compelling argument for your vision of the gameplay. Games, like all art, can be extremely subjective and sometimes people will have a different opinion. For example, a designer on my team pitched a vision to disrupt some of the crypts in Tomb Raider. Instead of being hard to reach the treasure, it was now very easy… but the trick was to get back out alive. He made a cool, grey-box prototype in a few days, and after that it was pretty easy to convince art and narrative to help create these disruptive “Honey Trap” crypts. When you work on a large project, a level can have many stakeholders from multiple disciplines, so being able to process feedback and accommodate numerous directives is a valuable skill that you don’t really get to practice when you are a lone modder, which, as mentioned previously, is why it really helps if everyone is aligned from an early stage. 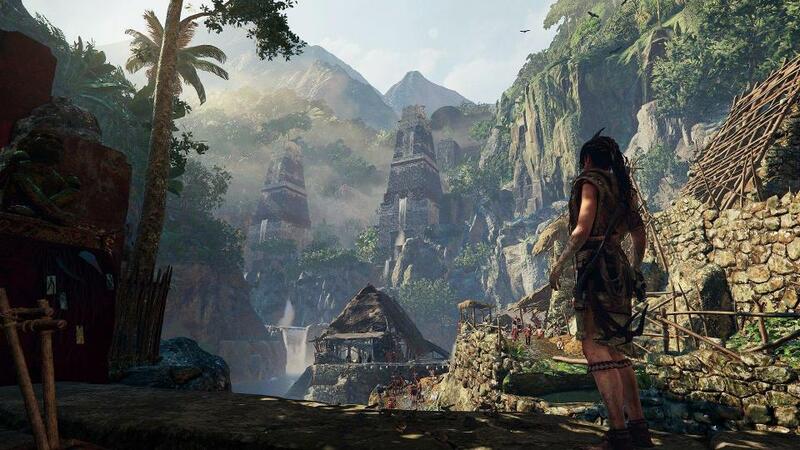 In one of our previous conversations you mentioned that, during your time as Lead Level Designer on Shadow of Tomb Raider, you actively looked for and hired good modders from the community as junior level designers for your team. What qualities were you looking for in modders specifically? What aspects of a given modder's work would you pay particular attention to? To be fair, Tomb Raider was a huge game and there were multiple Lead LDs. I can only speak for myself but, aside from the obvious traits, I look for modders who not only have the creativity to bring something fresh to the table, but have actually released their work and got feedback on it. This is crucial for two reasons… 1) Many people can start a creative endeavour, like a mod, but it takes a very focused mindset to complete and release it; this mentality is crucial in professional game design 2) I think it was David Bowie who said that a piece of art is never finished until it’s in the public eye…a mod has to have hit a certain level of quality for it to be fit to release, and after that, there is a discourse with the players who will provide critique of your work. This is a really interesting part of the process, and a designer’s response to this is almost as important as the work in the first place. What advice can you give modders in our community who would like to get into game development? What is it you wish you had known about modding, level design, and the industry when you were younger? If you build it, they will come! Make a mod… and then, most importantly, release it! Having people play (and hopefully enjoy) your work is super rewarding, and, in lieu of direct experience, it’s a great addition to your CV. Also, be careful of scope. Design your mod so that can be completed in a reasonable time frame (my first mod took me two years… my second one, for Fallout New Vegas, only took a month). And be able to show off your mod, and explain what makes it unique, and how you can bring that magic to the studio considering you for a role. When you get into the industry, you can work on a game that you don’t like as long as you are learning from the team… and you can work with a less-experienced team on a game you are passionate about… but if you don’t tick at least one of those boxes then it is time to move on! What is something about the game industry that you particularly appreciate? What development in the industry are you looking at with suspicion? Ah… I am going to answer that question in reverse, and tell you something I hate, and then something I am looking at with great pride! On the plus side, more and more studios are taking the time to redefine their culture, and make the games industry more inclusive, balanced and equitable for everyone in it, which means that older professionals can have a more enjoyable time, and that the young blood coming into the industry won’t get taken advantage of. A win for everybody! You are currently the lead at Thunderbox Entertainment, a small team of seasoned developers who set out to bring the best board games from table-top to tablet. Could you tell us a bit about your work in regard to that? Is there anything else you would like to say to our Nexus Mods community? As a wise man once said, “Don’t let your dreams be dreams… just do it!”. Seriously… what are you waiting for? Get modding! A big thanks to Dan Taylor for giving us an interview and as always: if there's an author or mod project you'd like to know more about, send your suggestions to BigBizkit or Pickysaurus. Thanks to Dan for giving us an interview. If you have any questions for Dan, feel free to ask away. He has agreed to answer questions between now and Tuesday, 26th March. First of all, thank you for an interesting mod for "TES-V: Skyrim", at that time I enjoyed the quest-driven dungeons of mods. And thank you for accepting this interview (I thank BigBizkit as well), as a humble modder of myself, I appreciate this kind of interview for knowing how a real Level Designer feels. Can I or we ask some questions about the Level designing for "TES-V: Skyrim" via Nexus message from time to time? Dan, please check out my work! I'd love to become a professional level designer and have been practicing it in hopes to do so. As someone in a similar position as you were, I love this interview... Thank you! Any plans to port your Iomaungandr Rising mod over to Skyrim SE? If not, I could provide my services & port it/publish it on Skyrim SE Nexus with your permission Dan Taylor. That would be rad... What needs to be done to port a mod to Skyrim SE? Are mods for the normal verison not compatible? Oldrim mods are (usually) not compatible due to SE using a different Creation Kit, and the forms differing (form 43 vs 44). The .esp must always be resaved in the SSE CK SlyWolfe. SSE Edit has no such feature. Those who use SSE Edit to manually set the Form version to 44 have no idea what they're doing & will end up breaking folks' save games due to duplicate Form IDs. The only sure way to make a plugin Form 44 (Skyrim SE) format is to load it into the SSE CK, then save it. .esm plugins require Wrye Bash since these must be copied to a .esp, then saved into the SSE CK, followed up by re-copying the newly saved .esp to a new .esm (Old .esm must be deleted after being copied to a .esp). Meshes must be run through SSE NIF Optimizer while .hkx (animations) must be run through a special tool available on LoversLab. Reverse porting of Skyrim SE meshes to LE format is now possible using the newest version of SSE NIF Optimizer. However, no tool exists to backport SSE plugins as of yet. Cheers, have a great day! Is there any job, or specific segment of a project you're really proud of? Assuming you have the free time, what games have you been playing recently? Any upcoming video games you're looking forward to? What's your all time favorite video game? Thanks for even accepting community questions! Sorry for... Uh... Taking advantage. Wish you all the best! No worries - I am always happy to answer questions. Career Highlight - my submarine-exploding Medal of Honor level getting a shout out on Venture Brothers. And also being the top hit for "Level Design" on youtube! That was pretty surreal. Something I am really proud of - the Neural Subnet sequence in Deus Ex Mankind Divided - System Rift... watching streamers play it, and seeing the look on their faces when they work out the final twist at the end is totally priceless! Also setting up the subversive direction for the crypts in Shadow of The Tomb Raider - I was lucky enough to have a team who really knocked it out of the park there. What have I been playing - Subnautica. It's amazing!!! The perfect mix of relaxing wonder and nail-biting terror! What am I looking forward to - Vampire The Masquerade Bloodlines 2. And System Shock 3! What is my all-time favourite game - Rez. Followed closely by Bomb Jack, and then Super Cars II. Great interview! Dan's words had many insights for me. Thanks Dan and BigBizkit! I wish you success in your new projects. I think that board games that everyone can enjoy playing on tablets are definitely appealing to casual people. Or maybe I just don't like working at a sausage party? Be sure to thank Dan Taylor aka dt1000 for allowing me to port his dungeon mod for Skyrim LE over to Skyrim SE for everyone to enjoy. A very nice guy & a pleasure to speak with both here & via Nexus PM with regard to granting me permission to port his work over to Skyrim SE.